ePublishing Knowledge BaseePublishing Knowledge BaseePublishing Knowledge Base AdvertisingHow do I create interstitial ads on Google Doubleclick for Publishers? An interstitial ad is a full-screen ad that covers a website before your reader gets to his desired page. For example, Forbes is well-known for its interstitial ad that appears with a quote or saying before an article appears. Typically, a reader has the choice to close the ad after it opens. To create an interstitial in Google DFP, you must have a template, which includes the variable or image of the file, the time it appears on-screen, and the ad's URL. ePublishing may need to create your template on Doubleclick for Publishers for interstitials. Please contact your Solutions Manager if you have questions about this. 1. Go to https://www.google.com/dfp/ and log-in. 2. 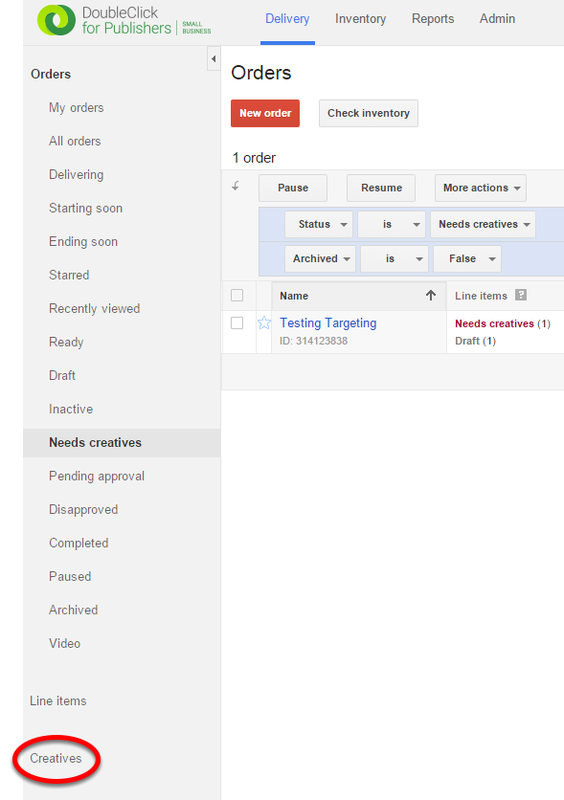 Add creative to Doubleclick for Publishers. Please contact your Solutions Manager if you have any questions. 3.1. Give it a unique name. 3.2. Set the size of the graphic. 3.3. Upload or select an image. 3.5. Set the orientation (portrait or layout). 6. Set your ad's settings. 6.1. Set your start and end dates and times, as well as total impressions. The day and time frequency is critical for interstitials. 6.2. 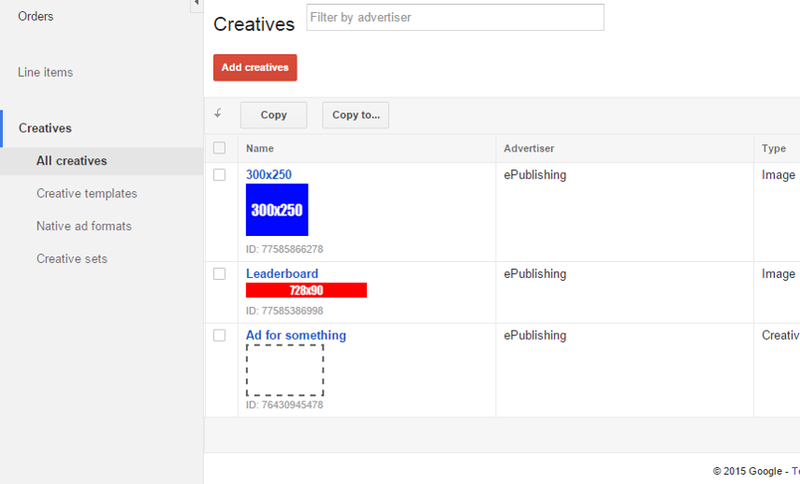 Assign a slot for your ad. Prev: How do I find out whether my ads are loading properly from Google DoubleClick for Publishers (DFP)? Next: What are common online ad sizes, per the IAB Display Advertising Guidelines?